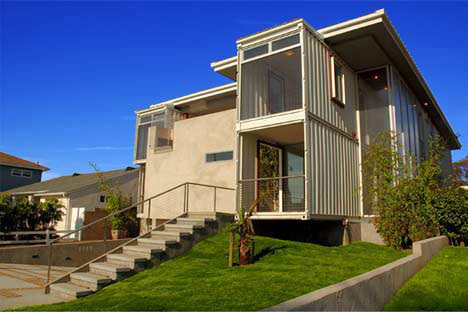 The honor of building one of the first official shipping container homes in the US goes to De Maria Design, a Southern California firm that designed this beautiful Redondo Beach residence. The home received the 2007 AIA Honor Award for Design Excellence/Special Innovation, and for good reason. The incredible two-story home incorporates both recycled shipping containers and conventional construction methods to create a home that no one would guess used to be huge steel boxes. The home even has a cargo container swimming pool in the back.